Seagate Technology PLC (NASDAQ: STX) were declining Tuesday after the storage device manufacturer issued a bleak sales forecast for the March quarter. Morgan Stanley analyst Katy Huberty maintained an Overweight rating on Seagate and reduced the price target from $60 to $48. Wells Fargo Securities analyst Aaron Rakers maintained a Market Weight rating and reduced the price target from $50 to $45. Bank of America Merrill Lynch analyst Wamsi Mohan reiterated an Underperform rating and trimmed the price target from $41 to $39. Seagate executed better than peer Western Digital Corp (NASDAQ: WDC) in the December quarter, but isn't looking ahead to the same level of share gains in the March quarter, Huberty said in a Tuesday note. This — combined with the impact of the macroeconomic conditions on markets like surveillance with exposure to China — suggest the earnings trough is pushed out by a quarter, the analyst said. Huberty expects the company to lower production levels in the March quarter to avoid inventory build, which she said is likely to pressure gross margin temporarily below the 29-33-percent target rate. Modeling flat operating expenditure for the March quarter, Morgan Stanley lowered the March quarter EPS estimate from $1.03 to 71 cents. The analyst said she assumes better revenue seasonality in the second half of the year and margin recovery by the September quarter, and consequently adjusted the 2019 EPS estimate from $4.37 to $4. "We see the stock trading back toward the recent $40 level near-term, but with upside to our new $48 PT into the back half of this year, which assumes the same 12x P/E but on CY19 EPS of $4 versus FY19 EPS of $5 previously." The pullback in Seagate shares despite the net-positive December quarter results is due to the March quarter guidance, which is well below expectations; limited visibility into a recovery looking into the mid- and second-half of 2019; and inventory buildup, Rakers said in a Monday note. 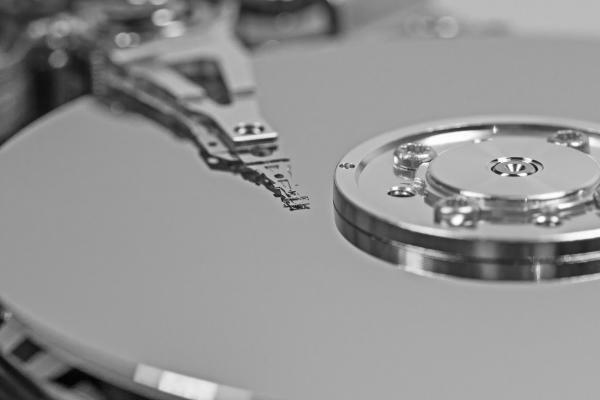 The analyst sees the signs of stabilizing HDD industry trends, along with Seagate's improved execution in near-line helium-filled HDDs, as a positive.
" ... We think Seagate's lack of presence in the enterprise SSD market (still await Toshiba supply agreement impact) will leave shares rangebound as investors gauge expanding flash/SSD cannibalization," Rakers said. Wells Fargo lowered its March quarter, 2019 and 2020 estimates for Seagate. The December quarter outperformance came about due to a gross margin benefit from the reversal of warranty accruals, lower opex and other income, Mohan said in a Monday note. HDD demand deteriorated across major product categories due to macroeconomic weakness, weakness in cloud demand, delays in government project hurting surveillance HDDs and PC sales pressured by the Intel Corporation (NASDAQ: INTC) chip shortage, the analyst said. "We would expect margins and EPS to recover from trough C1Q levels but continue to see secular challenges in the HDD market from NAND substitution," Mohan said. Seagate shares were down 0.29 percent at $45.43 at the time of publication Tuesday.